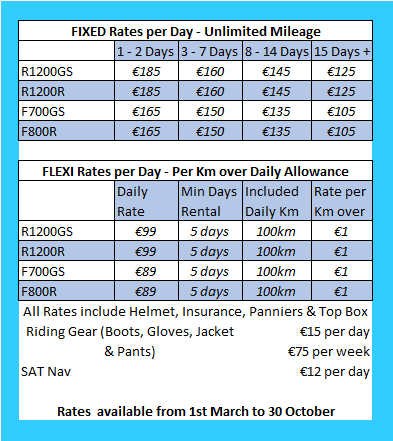 We are motorcycle enthusiasts first and foremost and so we love talking about your motorcycle rental plans in Ireland. Feel free to call us about anything biking related if you plan to visit Ireland or if you're based here already. Normally we respond within the hour, but we are based in GMT time zone so please bear with us. Please be mindful we work in GMT timezone. Thank you! Fill in this form and we'll do our best to answer your question.